BRIGHTON, Mich. - The 2013 Ford F-150 has won Pickuptrucks.com and Popular Mechanic's 2013 Light-Duty Challenge! Going grill to grill with the 2013 Ram 1500, and two General Motors 2014 trucks, the Ford F-150 proved itself to be the leader of the pack. The 2013 Ford F-150 may have won the pickup challenge, but not before having to prove itself against various truck brands. The competing trucks' were tested vigorously, with challenges including 0-60 mph acceleration, braking, overall handling, towing, fuel economy, and overall look. These performance-oriented competitive events pushed each vehicle to the limit, and still the Ford half-ton dominated. The next challenge on the road for these trucks is the Truck of Texas award, where members of the Texas Auto Writers Association (TAWA) will test drive each vehicle and award the best ride. This award is always sought after by pickup truck manufacturers, since 1 in every 5 pickup trucks sold in the U.S. are sold in Texas and earning the Truck of Texas award almost guarantees the winning manufacturer a large amount of sales. 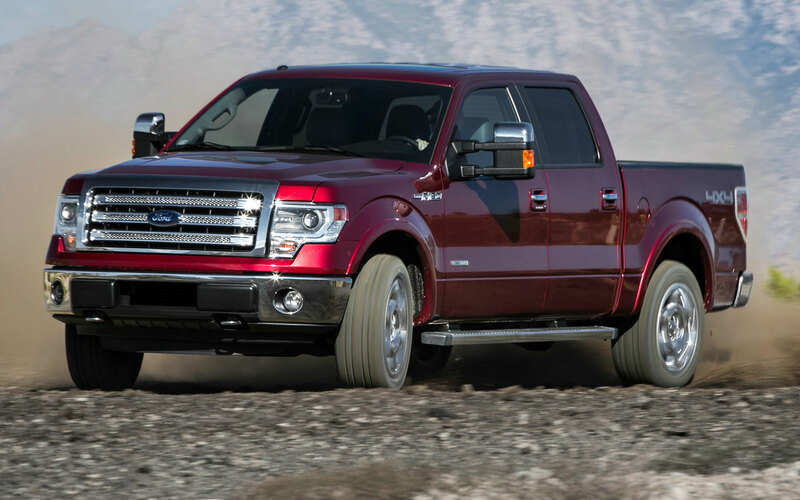 The 2013 Ford F-150 is best-in-class with the available 6.2L 2-valve V8 with 411 horsepower! To read more about what this winning vehicle has in store for you, check out our 2013 Ford F-150 Brochure. You can also stop in at our South Lyon Area Ford Dealer to test drive the F-150, or come check out our Used Car Dealership to see what else we have to offer!